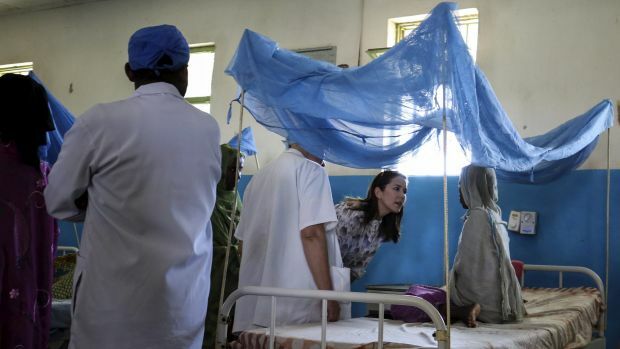 Afambo, Ethiopia: Crown Princess Mary of Denmark was "shaken up" after confronting the harsh reality of female genital mutilation on her humanitarian visit to Ethiopia on Tuesday. The hot, desolate Afar region was a world away from wintery Copenhagen, a city still reeling from the weekend's dramatic shooting spree that left multiple people dead, including the gunman. As the future Danish Queen stepped out from a long convoy of white United Nations four-wheel-drives, ethnic Afar men in white gowns with knives on their belts performed a welcome dance.